Sandy Straits and Beyond: Kayaking Again! Carpe Diem - Seize the Moment! Last week started with heavy rain and wind. I watched the weather charts for each day and each morning looked at the clouds and waited to see the first breezes in the tree tops! Finally there was one morning that looked possible! - Not perfect! - but possible! I loaded the kayak on the roof racks of the car. 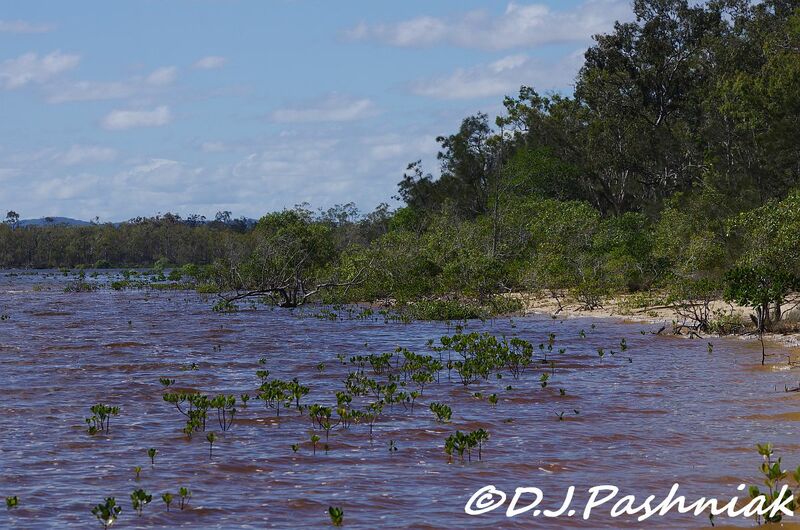 I heaved a sigh of relief that all the "doom sayers" who keep asking if I can still lift the kayak up are not right!! I scurried around looking for gear that hadn't been used for more than 6 months! Down at the bay the water looked beautiful! Horrors!! Where was the kayak paddle? It is really lucky I only live about 5 minutes away! When I finally started paddling out towards the airport roost I was intrigued to look down into the water and discover it was tea colored. All that heavy rain a couple of days ago had flushed out all the water in all the little creeks. Creek water around here is always colored by the vegetation that hangs over and into the water. Usually the bay water reflects the blue of the sky but this morning the water was a deeper color with hints of maroon. This photo is taken looking south from the roost. 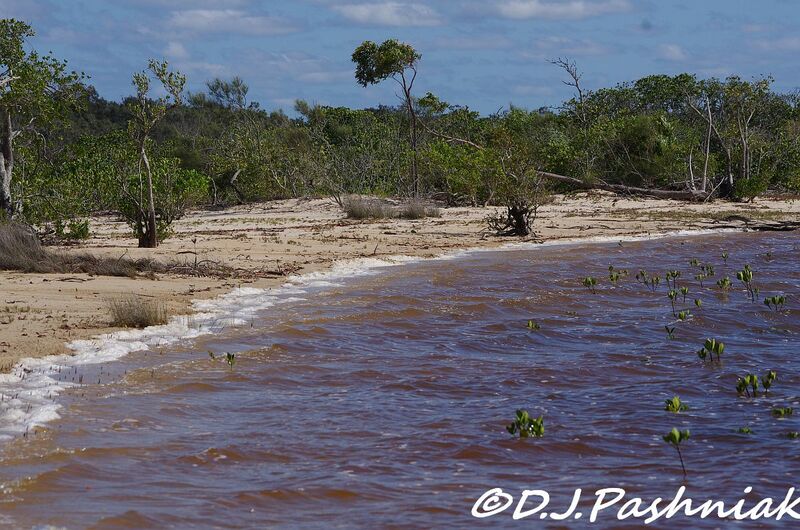 Little mangrove trees are beginning to thicken along the shoreline. This photo is taken looking north along the roost and shows the foam which always happens when the salt water is mixed with too much fresh from the creeks. 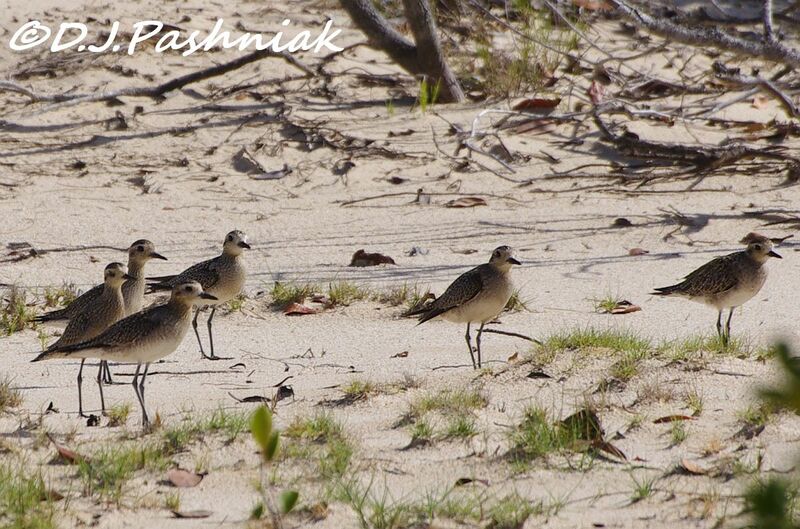 It was great to see a total of 4 Red-capped Plovers. This sand bank was where I first got a good look at these little birds when I was still learning to ID shorebirds. Last year I didn't see them here. Two of them were running along the edge of the water and in and out of the foam. A single Grey-tailed Tattler flew out of one of the mangrove trees. I wonder where the rest of the flock that usually roost there have gone? The pair of Pied Oystercatchers were still there. Keeping them company on that end of the sand spit were a number of Pacific Golden Plovers. They disappeared early for migration last year so it was good to find some back this year. 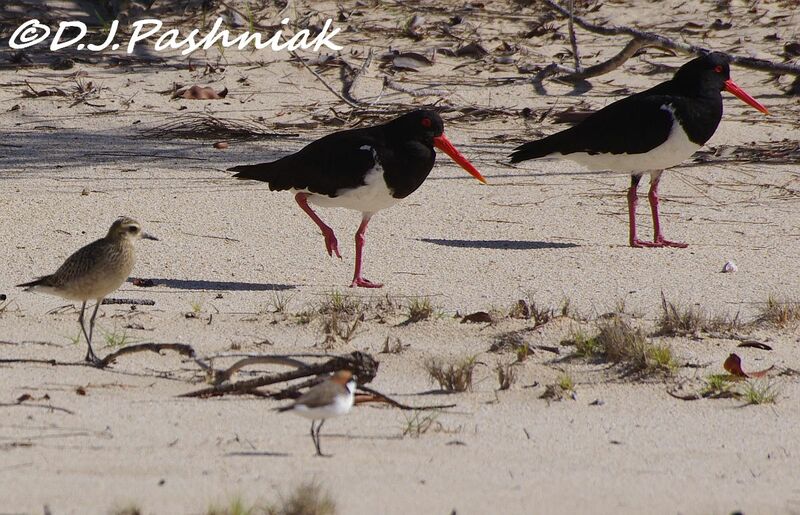 This photo shows the Pied Oystercatchers, one Pacific Golden Plover and one Red-capped Plover right in the front. 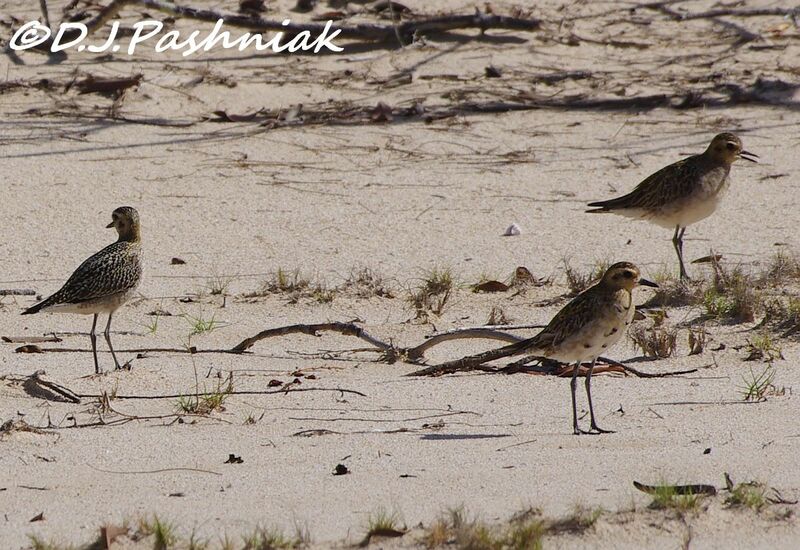 One of the Pacific Golden Plovers showed a few black spots - remnants of the black breeding plumage. There were also a few with juvenile plumage. The wind had been picking up all the time I had been watching the birds. After so much time away from kayaking I was not as steady getting into the kayak as I would like to be. Fortunately I could drag the kayak over the little sand spit and into the lagoon behind it where the water was nice and still. I need to get out on the kayak more often - and maybe I need to do some strengthening exercises for unused muscles as well! hooray for back in the kayak! and a paddle, too! Oh, yes!! I'm sending the same message as Tex!! Enjoy your kayak time!! I know I surely would!!! Great shots for the day as always, Mick!! Hope you enjoy a great new week!! Glad to hear you're back on the water. The pied oystercatchers look like giants in comparison to the little plover. Good to see you're "back in the saddle" or should that be "back on board "? The Red-capped Plovers do look really tiny as even a golden plover is a smallish wader. What a beautiful place and gorgeous well composed photography! How lovely to be back on the water! 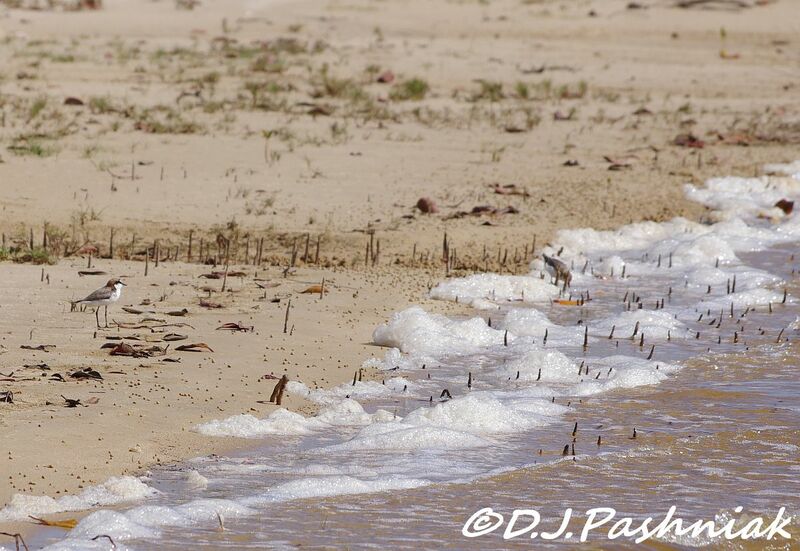 When I lived in New York there were often piping plovers on the barrier beaches. They were fun to watch! It looks warm and beautiful there--it's snowing where I am this evening. Great to see you back on the water hope we can get back on the water soon. Hello, wonderful collection of scenic shots and birds. I love the Plovers and the Oystercatchers. Enjoy your week! Love kayaking too but also don't get out often enough. Beautiful shore birds. 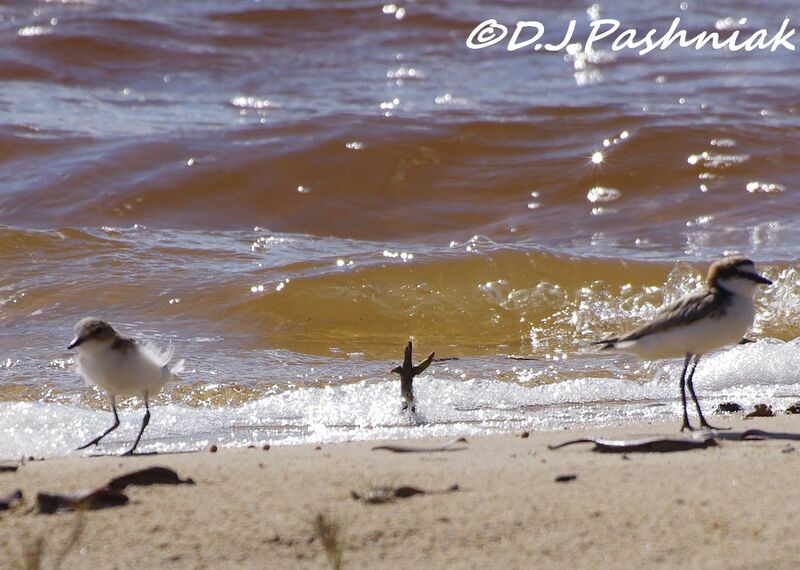 I always love seeing you shore birds! Wonderful photos! So glad you got to go kayaking again! Great area and photos, looks like a good day. Oh just getting out in the kayak will strengthen those muscles, and the pictures you share are better than what you'd get if you went to the gym ;)). And these pictures are wonderful, I'm so glad you were able to get out. Loved especially the one with the different plovers and the oystercatchers. That water is beautiful. In Florida it is almost always tea colored around the mangrove swamps. I bet it helps you get up close and personal with lots of birds. I hope many more kayak adventures await. Saw good numbers of Golden Plovers over the last week - very nice bird, although too distant for decent images. Nice post, always good to seize the day. PS: my slowness to comment and visit has been caused by a trip to an island in the Pacific!